Transvaginal mesh is a synthetic or biologic material permanently implanted in women to repair pelvic organ prolapse (POP) or to support the urethra to treat urinary incontinence. Women might undergo the surgical procedure following birth to repair the weakened vaginal wall. However, the U.S. Food and Drug Administration (FDA) has found that transvaginal mesh, regardless of manufacturer, can expose patients to health risks such as the erosion of the product into surrounding areas of the pelvis and pelvic organs. Part of the product can become implanted as intended to strengthen the vaginal wall while some of it is not absorbed into the tissue. If complications arise as a result, removal of the implant can be complicated and costly. Or, other health issues could develop. It is important to seek appropriate medical care immediately if you notice persistent abdominal pain, unexplained fever, tenderness in the pelvis or other unusual symptoms. At Babbitt & Johnson P.A., we are experienced at holding manufacturers of defective medical devices and implants accountable. When devices or implants fail to protect patient safety and/or are inadequately designed, the negligence of the manufacturer should be addressed. Our resourceful and knowledgeable attorneys can help you determine if you have a case for a lawsuit to recover from your injury and costs. Our attorneys handle complex defective medical implant cases from across the country. We hold major corporations accountable for their defective products and passionately pursue your maximum compensation. Your safety, recovery and protection of your rights are important. They must be defended, and our law firm is dedicated to properly building case that will defend your best interests with the supportive legal assistance you need. We collaborate with medical and economic experts to fully evaluate the value of your case, calculating past, present and future costs caused by injuries and medical complications. In many cases, a drug company’s prior knowledge of side effects and potentially harmful complications caused by its products is blatantly negligent. The companies put profits ahead of patient safety. We will examine the facts of your case and scrutinize every detail to construct a case that counters its defense with the transparency of a straightforward, fact-based strategy. Transvaginal mesh, a biological and synthetic material that is used to repair pelvic organ prolapse (POP). This is a permanent device that is implanted into a woman’s body. If this device does not work properly, there can be serious adverse effect on a woman’s health. If you or a loved one has been injured, our attorneys will strongly advocate on your behalf in a lawsuit against the manufacturer. At Babbitt & Johnson P.A., we have more than 40 years of experience advocating for victims in personal injury and defective drug cases. We have handled complex defective implant cases throughout Florida and the entire country. Our highly skilled litigators take an aggressive approach to representing clients in the courtroom and do not back down to a challenge. 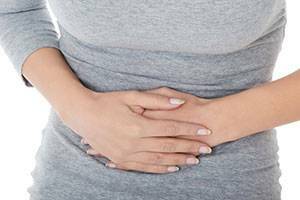 Pelvic organ prolapse (POP) occurs when the muscles supporting a woman’s pelvic area become very weak and the pelvic organs move out of place. It most commonly occurs after menopause, after childbirth or after a hysterectomy. Oftentimes, surgery is performed to correct the issue. This procedure involves the permanent insertion of transvaginal mesh (a synthetic or biologic material). The Food and Drug Administration (FDA) has found that many brands of the transvaginal mesh are defective and cause serious complications such as erosion, blood vessel perforation and more. If you are experiencing pain or unusual symptoms, it is important you seek medical treatment promptly. We have years of experience representing individuals in defective drug and device litigation throughout Florida. We will work with a wide range of experts to assist in valuing our clients’ cases and seek to obtain the maximum amount of compensation for your claim. We examine every detail of a case and scrutinize evidence in order to create the most effective argument that counters the defenses strategy. The Food and Drug Administration (FDA) has recently reported many different complications associated with all brands of transvaginal mesh used to correct stress urinary incontinence (SUI). If you have suffered complications or have been exposed to health risks after surgery involving the implantation of transvaginal mesh, you deserve to be compensated. At Babbitt & Johnson P.A., we have more than 40 years of experience in the area of personal injury and defective device litigation. Our transvaginal mesh attorneys are committed to holding manufacturers accountable for promoting defective products and will seek to obtain the maximum amount of compensation on your behalf. Urinary incontinence (or loss of bladder control) occurs when a person is unable to control the release of urine through the bladder. Stress urinary incontinence (SUI) occurs when urine is released through pressures such as coughing, sneezing, exercising or other activities. For women, changes in the body that occur after childbirth and menopause can cause SUI. The implantation of transvaginal mesh is frequently used to support the urethra and correct SUI, or correct other conditions such as pelvic organ prolapse (POP). In addition to our significant experience and proven track record in the courtroom, we are committed to providing the highest level of quality service for our clients. We provide personalized attention and strong advocacy throughout all steps of the legal process. Our attorneys will never compromise the level of service they provide simply to settle a case quickly. We enter the courtroom with full force and prepared to win. Procedures that implant devices to correct pelvic organ prolapse (POP) and stress urinary incontinence (SUI) are intended to address serious and painful symptoms that affect the patient's health. If the transvaginal mesh inserted is defective, the patient can suffer serious complications that can require a lengthy recovery time. If you have had corrective surgery involving transvaginal mesh and are suffering from side effects such as cervical and vaginal erosion, it is important to seek legal advice. At Babbitt & Johnson P.A., we represent clients throughout Florida and nationwide involving defective devices such as transvaginal mesh. In July 2011, the Food and Drug Administration (FDA) issued a public health notification that warned consumers serious complications had been association with procedures involving transvaginal mesh and surgical mesh implantation. One of the serious side effects of transvaginal mesh implantation includes vaginal erosion. This is a very painful complication that can result in the skin in the vaginal walls splitting. In order to correct the complication, additional surgical procedures may be needed. Other serious side effects of transvaginal mesh include recurrence of prolapse, recurrence of urinary incontinence and more. These and other side effects are ones that are, unfortunately, intended to be corrected with transvaginal mesh procedures in the first place. Serious injuries are difficult to deal with. The importance of having a strong advocate on your side is nearly immeasurable. We are Florida-based attorneys representing victims of defective transvaginal mesh products nationwide. Contact us at 561-684-2500 for a free case evaluation. We will take a detail-oriented approach to evaluating the evidence of your case and make certain that manufacturers are held accountable for promoting an unsafe device. Serious injuries can have a profound effect on a person. If you have been injured as the result of a defective product, you may be entitled to compensation for your injuries. Your safety and well-being are important to us. You can be certain that you will have someone on your side at all times. We are led by a highly experienced team of attorneys who have more than 100 years of combined legal experience. We have been handling complex litigation claims for more than 45 years. We will hold manufacturers responsible for promoting unsafe devices and make certain that our clients receive just compensation for their injuries. At Babbitt & Johnson P.A., we have significant experience handling complex litigation cases and in-depth knowledge of the law. We pay meticulous attention to the details of our client’s case to be certain that we are fully prepared. Our skilled legal team knows how to scrutinize evidence and can call upon medical and economical experts to provide authoritative testimony about the severity of your injuries. Complications arising after a surgical procedure involve the expertise of a qualified medical professional. If you have a strong case, it is equally important that you are represented by an experienced attorney. We are here to protect your interests and defend your safety. The attorneys at Babbitt & Johnson P.A., have been handling complicated litigation claims for more than 40 years. We accept defective medical device cases throughout Florida and nationwide. Our clients are our top priority and we seek to reach the best possible outcome in the most efficient manner. Transvaginal mesh is a biological and synthetic material that is implanted in women to repair complications. The mesh is most commonly used in surgical procedures to repair pelvic organ prolapse (POP) and stress urinary incontinence (SUI) in women. The device is meant to eliminate symptoms and prevent further complications. In July 2011, the Food and Drug Administration released a statement warning of the complications of several types of transvaginal mesh used in surgeries to correct POP and SUI. The side effects of defective transvaginal mesh can be extremely painful and have a profound effect on a woman. If you, a loved one or family member has suffered complications following a procedure it is important to know your legal options. Our attorneys are here to provide objective and knowledgeable legal advice so you can make an informed decision about your situation. When you are trying to deal with the complications of an injury, you do not want to have to deal with the complications of pursuing a lawsuit. When you work with our team, you have the benefit of knowing that a highly experienced Florida attorney will be handling every step of your case. We take an assertive approach to preparing cases for litigation and an equally persistent approach to providing individualized attention for each of our clients. If you or a loved one has been harmed or suffered adverse effects with the use of a transvaginal mesh product, contact the West Palm Beach transvaginal mesh attorneys at Babbitt & Johnson P.A. for a free case evaluation. You will speak with one of our partners. Call us at (561) 684-2500 or toll free at 1-888-666-0523. We are dedicated to ensuring your rights are protected, and we accept transvaginal mesh cases throughout the U.S.